A lot of cable manufacturers will try to confuse consumers with fancy, complicated terms to describe cable but don't be fooled. OSD outdoor speaker cable is priced significantly lower than other brands and performs just as well if not better. 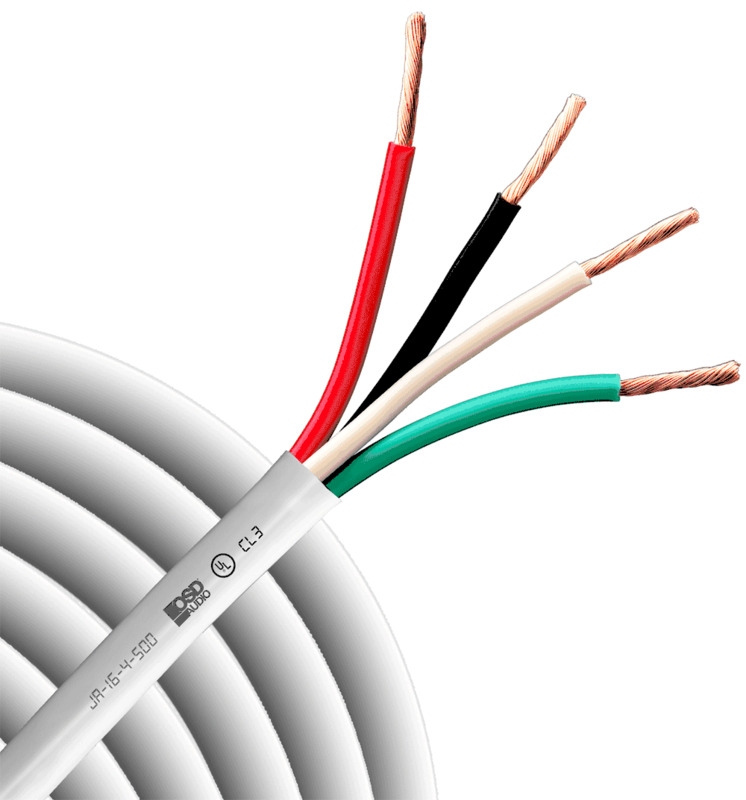 This 4-conductor oxygen-free cable can be used for outdoor rock, patio, or garden speakers, or for low voltage outdoor lighting. The cable features a specially formulated white polyethylene jacket that is U/V resistant and provides protection against water damage. The audiophile grade wire contains 99.9% pure copper conductors with a high strand count for excellent performance. A reasonably priced alternative to Monster® Cable. This wire is perfect for outdoor speakers, low voltage lighting and many other outdoor or direct burial applications. The cable features a specially formulated white polyethylene jacket that is U/V resistant and provides protection against water damage. 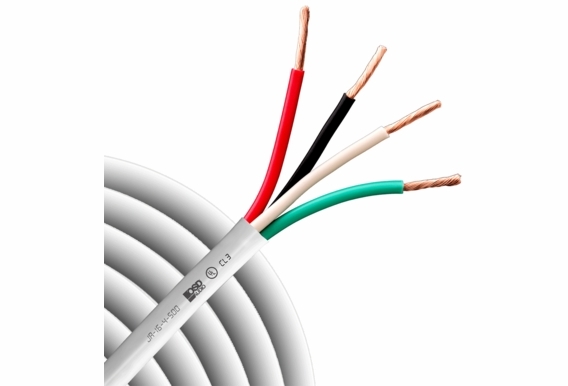 The audiophile grade wire contains 25 strands of 99.9% pure copper conductors. 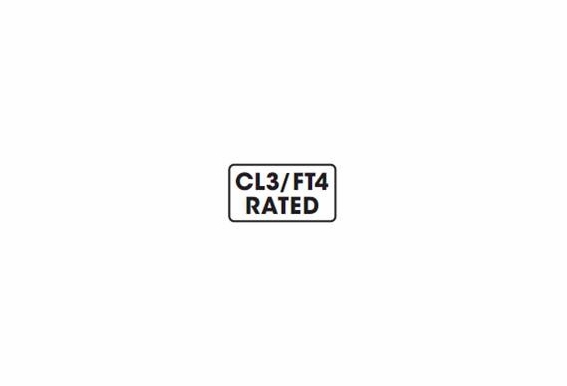 The high strand count provides improved skin effect. Will this cable work on intercom speaker from the house to my gate about 800ft ? My intention is to run 16 Gauge 4-conductor CL2/3 cable from my receiver (in my garage) down to my basement and near an exterior wall. As some point I will split that run into two 16 Gauge 2-conductor CL2/3 cables (this will occur indoors). I will then run the two 2 conductor cables through existing wall penetrations and will connect them to my RS690s ohn the patio. 1. Do you see an issue with this? 2. Can I run the 4-conductor cable alongside some electrical cable? Or should there be a distance b/t the two. Do you have a shielded version of this cable? I'm looking for outdoor speaker cable that I can run out to my fire pit in the back yard. This looks great, but it's only available in white. Once I get to the buried cable to the location, I need to run it up a few trees to my speakers, but I don't want the white cable to show so obviously! Isn't this available in black? Hi Eric, Unfortunately we only carry speaker wire in white! There is 4 wires inside the uv sleeve. Does this mean I can connect 2 speakers with one length of wire? Would I be able to get any other length of cable, for example, 150 feet? What is the diameter of this cable 16/4? Are the individual wires twisted and if so what is the twist rate per foot? Can this be used in wall?